Bela Fleck’s “The Over Grown Waltz,” Edgar Meyer’s “Sliding Down,” Mark O’Connor’s “Johnny Appleseed” and Chris Thile’s “Raining at Sunset” – these are the kinds of memorable modern instrumental tunes that have left the biggest mark on me over the years. Songs like these – songs that exude adventure and tell stories without words – are hard to come by in the era of the broken-hearted whiteboy folk songs that sound kind of like bluegrass, explore four awesome chords (with a capo) and feature the occasional banjo (Note: yes, we sometimes like and cover that stuff too, but it’s more of a flavor of the week). This week, Haas Kowert Tice, a trio of now grown up music prodigies including fiddler Brittany Haas (Crooked Still), bassist Paul Kowert (Punch Brothers), and guitarist Jordan Tice (Tony Trischka), have just released their debut, you got this (Amazon & Spotify) – an album I’ve been waiting for since first seeing the trio at the Brooklyn Bluegrass Bash last September. While each member of the band continues to purse other projects, the trio formed as an outlet for their ideas after years of improvisational jams and playing together at festivals and camps. Only time will tell, but the album includes at least three tracks that could fall in the list above a few years from now. “Tell Me Watcha Gonna Do Now,” which closes the album, is my favorite instrumental song since the Goat Rodeo Sessions were released a couple years ago. It’s the ultimate comeback scene score. “Grandpa’s Cheesebarn” and “El Camino” each brilliantly showcase the band’s meshing of influences, winding compositions and phenomenal instrumentation. Check out one track below. 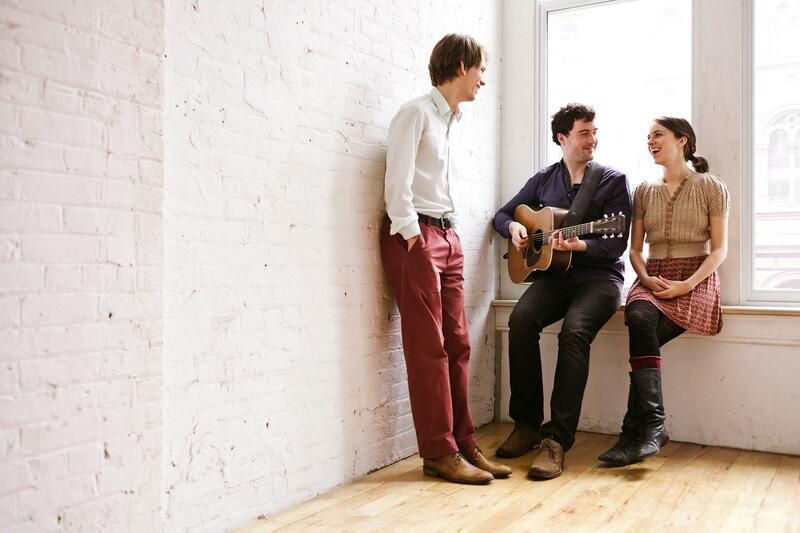 You can catch the trio at Joe’s Pub on Tuesday, July 29th or another stop on their tour. Thanks for the introduction. I’ll explore your blog again. Regards from Thom at the immortal jukebox (drop a nickel).